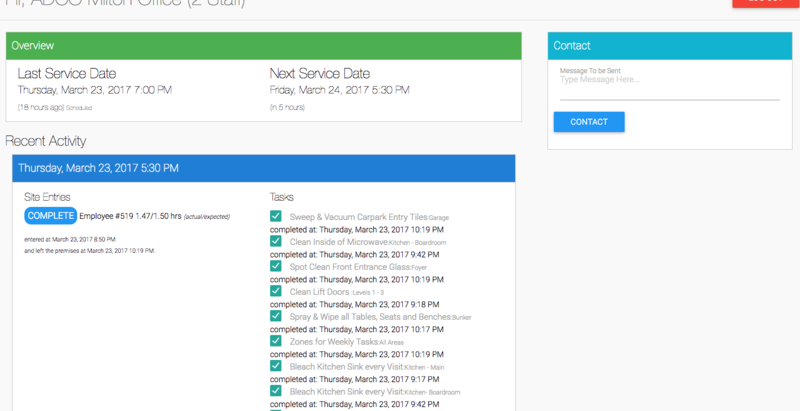 The freshOps Client Site Portal was built to allow you to provide your Clients with access to some basic information regarding Time and Attendance and task Completion and also provide a place for them to report issues. We understand not everyone wants to give their Clients Access to this information, however, for those that do, we provide the portal URL and ID and password in your Client's Site Page. All you need to do is share this URL with them and their Login Credentials. They'll be able to Login, see the last 20 visits to Site, what time the team member Entered & Exited Site, How long they were expected to be there, and which Tasks were completed or not, including time stamps of the Task Completion.